Now You Can 3D Print Your Thoughts Into Reality!! All actions result from thoughts, so it is thoughts that matter. What could be more beautiful than giving life to your thoughts and printing them out? Doesn’t that sound cool? The traditional way of 3d printing is changing drastically and this vast industry has a lot to offer.Every day there is a new technique that is transforming this industry and similarly, there is too much of competition going on. The 3D printed thoughts are the new innovation and is gaining popularity recently. 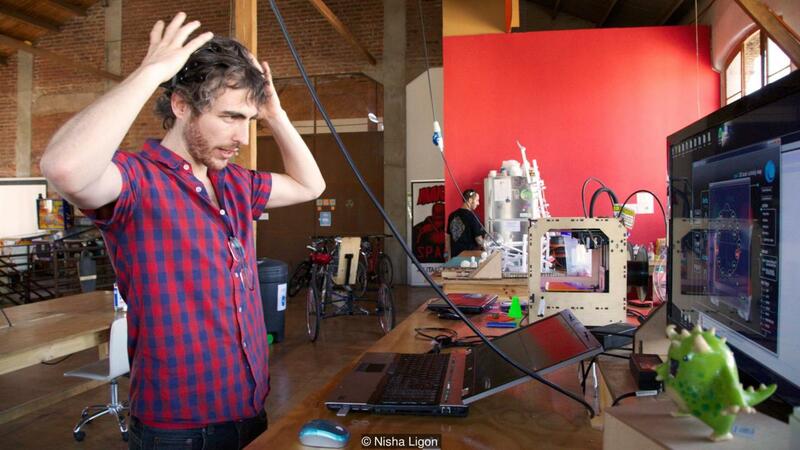 So basically, 3D printing your thoughts is printing out anything that you think. It is all related to your thought process and these brainwaves are transmitted to the printer via sensors resulting into the design that you want. 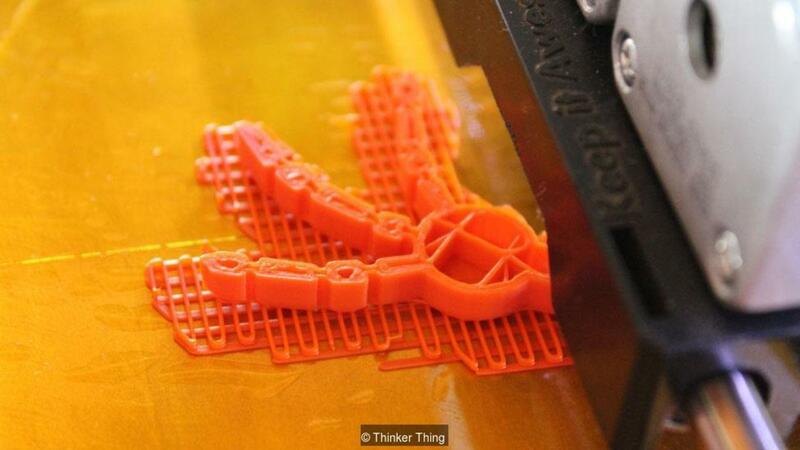 The first ever object developed by 3D printing thoughts is the monster hand.This garish orange piece of plastic, small enough to hold in the palm of a hand, could pass for a missing limb of a toy Tyrannosaurus. It is appealing just for two reasons, firstly it’s a 3d printed and secondly, it is printed via thoughts. This all started at fanfare of Santiago Makerspace, a technology design studio in the Chilean capital. 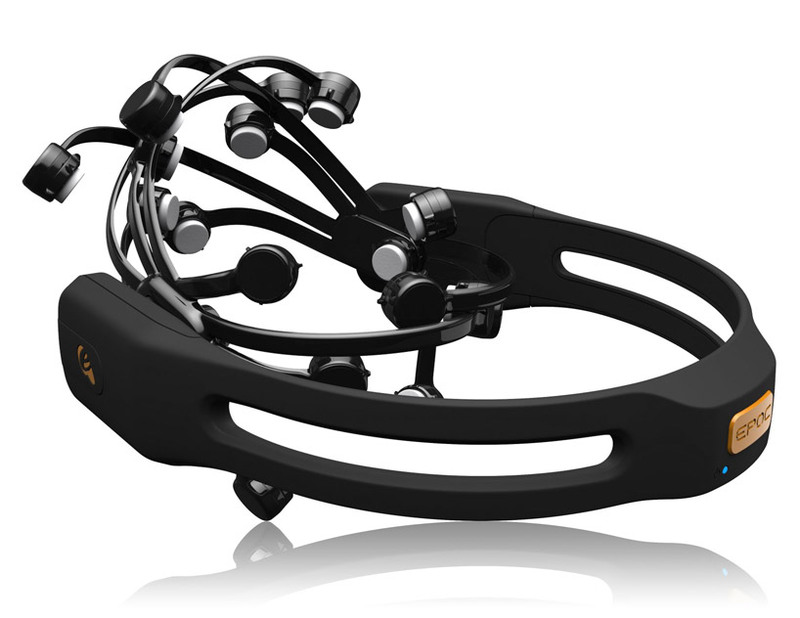 This toy limb’s shape was designed according to the designer by connecting his brainwaves to the headset and then transferring the neurological signals to the PC. It was invented by George Laskowsky, Chief Technical Officer of Thinker Thing, the Chilean start-up developing the mind-controlled 3D printing system. The traditional 3D printers are helpful only to the people who know the software well and are a pro in the industry. A beginner will be confused and also rely on downloading the designs from the internet and then printing them out. Also, the design software is not easy to master, especially if you are four-years-old and haven’t yet learned to hold a pencil properly. “What is the point of these printers if my son cannot design his own toy?” says Bryan Salt, CEO of Thinker Thing. “I realized that while there were a lot of people talking about the hardware of the printer no-one really seemed to be talking about how to actually use it.” In theory, 3D printers could help unleash our inner creativity, freeing us from the constraints of traditional manufacturing methods. However, in practice, those unwilling or unable to plough through the software instruction manual could be left downloading ready-made models designed by others. That’s where the software Emotional Evolutionary Design (EED) comes into play where the thoughts are presented in some real action. Their present plan is to focus on the Monster Dreamer Project, which will allow users to design their own fantastical creatures using the power of thought. 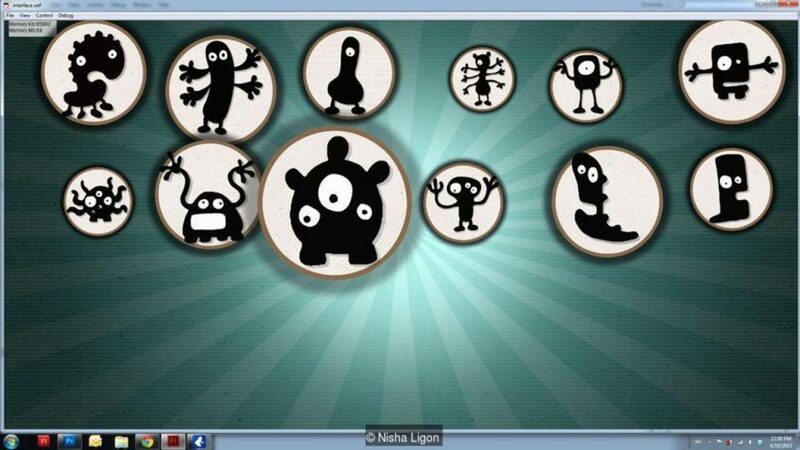 When the children will sit in front of the computer they will see different body shapes in the form of bubbles. These will mutate randomly, with built-in rules preventing them becoming too abstract. The children’s reactions to the changes will be picked up by an Emotiv EPOC headset, a electroencephalography (EEG) device designed to pick up the electrical signals from brain cell interactions using fourteen sensors on the scalp. As different states of the brain as excitement or boredom specific patterns of brain activity will be generated.The favoured shapes will grow bigger on the screen, while the others shrink. The biggest shapes are combined to generate a body part, and the process is repeated for different body parts until the monster is complete. The final result should be a unique 3D model that is ready for printing as a solid object. 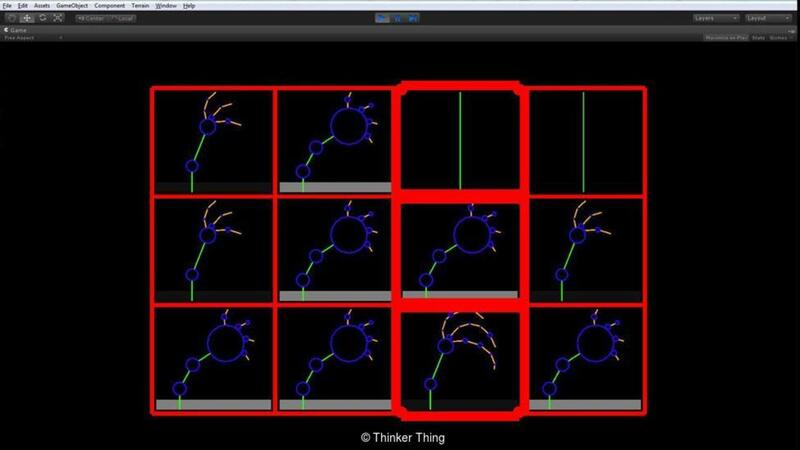 Lipson’s Lab is also working to create 3D objects from the mind. Two Lipson’s students have developed a website EndlessForms which mimics nature’s way of creating new designs in small steps. In the start of this process, there are 15 3dimensional shapes presented, from which the person needs to choose 2shapes. Then after combining these two shapes more 15 shapes will be available. Thus the proper combination of shapes can give you the desired design. If you wanted to make a cat, you might click on one shape with the semblance of a muzzle and another with two pointed, ear-like triangles on top. The computer would then offer up a series of new shapes that more closely resemble the cat you have in mind, and so on until the model reaches the desired shape. This was taking a long time so the Lipson’s decided to use the Thinker Thing idea, but the issue with headsets is that when you tend to think about a particular state for a long time i.e. happiness it tends to result in sweat also if the headsets are of poor quality the wrong signals get transmitted. Some sceptics argue that consumer EEG devices are not really measuring thoughts at all. With some of the limitations of consumer EEG technology in mind, Lipson and colleagues decided to monitor thoughts via the eyeballs. Eye tracking can identify the shapes that get the most attention, and this could be used to shape design processes. The snag is that without an EEG headset it is not possible to tell whether someone is looking at a shape because they find it strange or beautiful. Even so, the team’s research so far suggests that at the end of the process participants still feel they have managed to reach the desired design. There’s some way to go, but in the future, a combination of brain scanning and eye tracking may be preferred to the trusty old mouse when it comes to 3D object design. 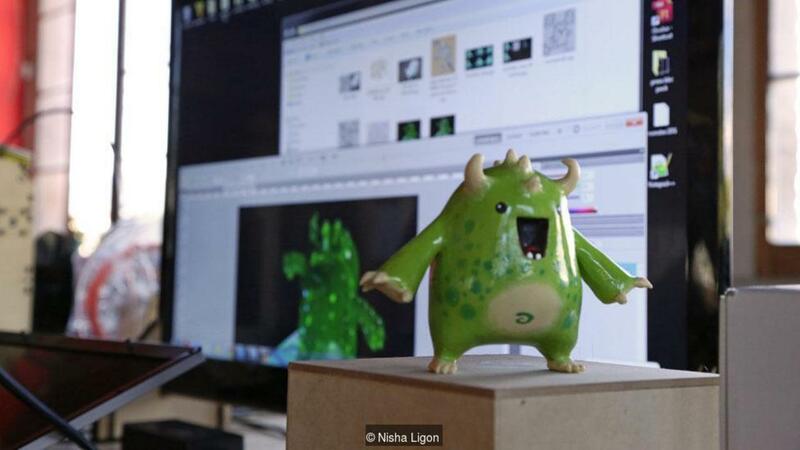 Imagine your dreams getting into reality just by the help of 3D printing. A Japanese scientist led by Yukiyasu Kamitani, of the ATR Computational Neuroscience Laboratories in Kyoto, revealed they had made significant steps towards automated dream decoding. Three people had there brain scanned by an MRI, they were awakened when EEG signals indicated they had reached an early phase of sleep associated with dreaming. Researchers asked them to describe their dreams.Kamitani’s group then chose 20 categories of objects and scenes based on the words that occurred most frequently in the descriptions. Then they listed out the categories on the basis of frequently imaging objects thus decoding the dreams. Thus now we can even decode the dreams and print them and know about the future dreams this 3D printing is making impossible things possible. So what are you guys waiting for? Get involved with the future techniques by buying a 3D printer by Geeetech right here and give life to your dreams. This Company is Making 3D Printed Houses For the Homeless! Top 10 3D Printed Masks if You Love Cosplay!